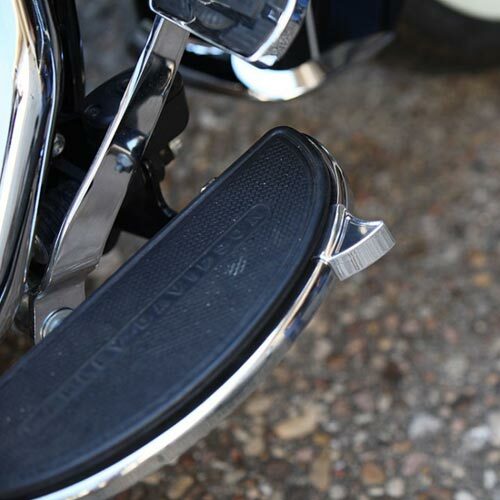 Boot Draggers™ were designed with rider comfort, and a low profile style in mind. 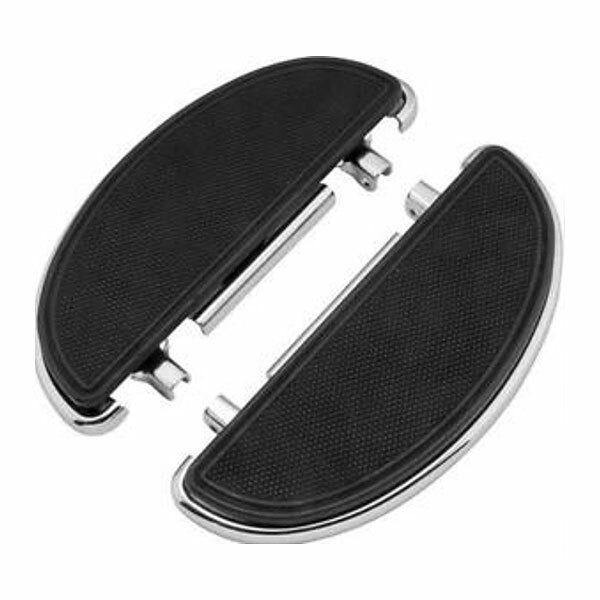 Boot Draggers™ easily attach to existing equipment in minutes and allow the rider to stretch out. 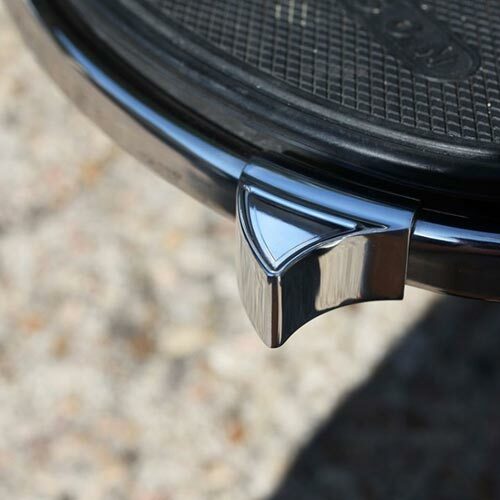 For those bikers who prefer clean lines and no highway bars, Boot Draggers™ are perfect for you. 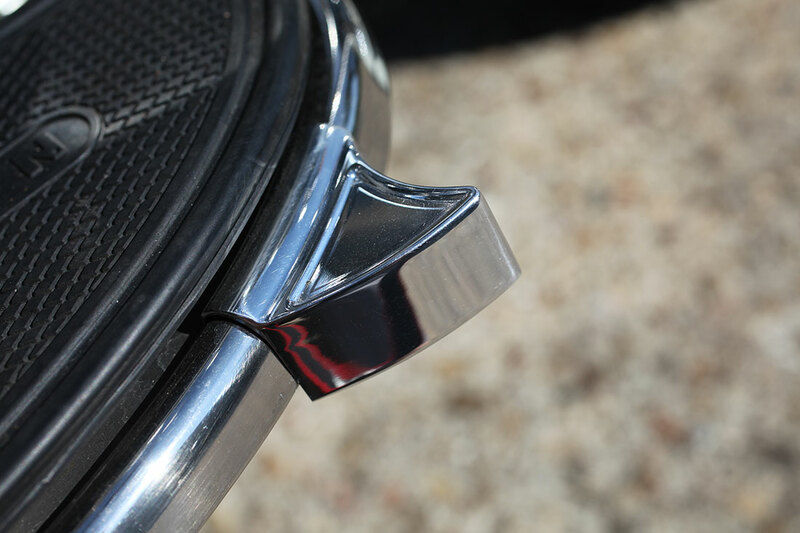 Alternatively, for the baggers and cruisers with highway bars, Boot Draggers™ gives you an alternate riding position. 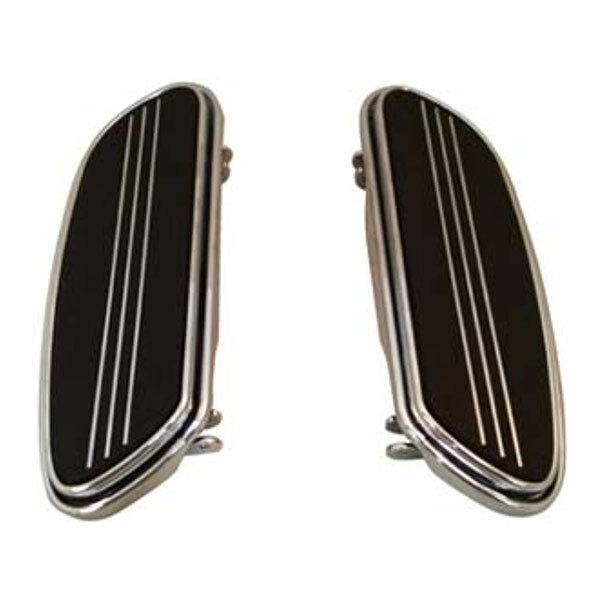 Add style and function to your existing footboards. Made with pride in the heart of Texas, USA. Machined from lightweight 6061 billet aluminum and polished. 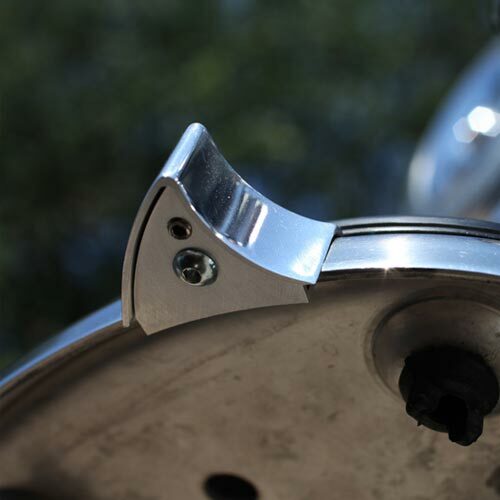 Patented design and lock plate technology allows for simple installation to existing motorcycle OEM footboards, without drilling or damaging boards. 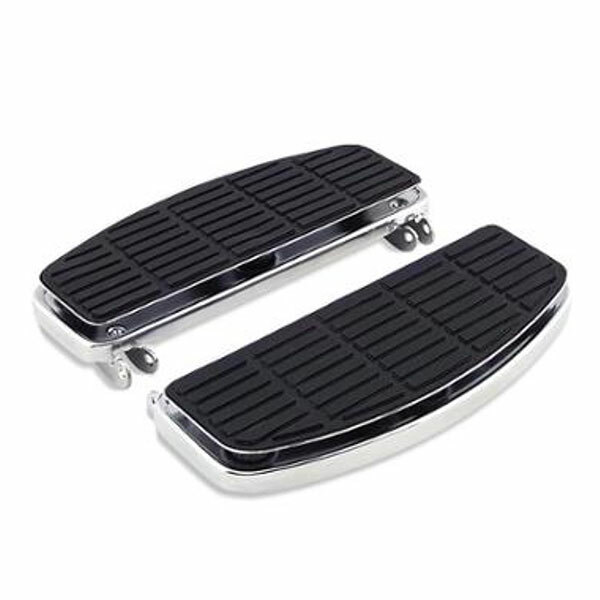 Fitment – Fits Harley Davidson® standard footboards, half-moon and swept wing style footboards. Other styles currently being developed for metrics.